XL to XXL, fabric will be per clients preferences. this styld in floral net with smooth crepe lining. price will bd negotiated per order volume and quality. The price mentioned is for an idea. MOQ is not an issue but we charge per order quantity per style and volume of work and quality of fabric client prefers. You can order small quantity also. Sizes XS to XL. Plus sizes also available. Made in viscose Jersey. Discuss with us for further details. Price mentioned per a perticular order Volume but you can order any quantity and size range XXS to 6XL. Price will be accordingly discussed. Price depends upon the order quantity n fabric quality per your market segment. With the continuous support and sincere efforts put by our experienced professionals, we have been able to provide Top With Leaf Print. 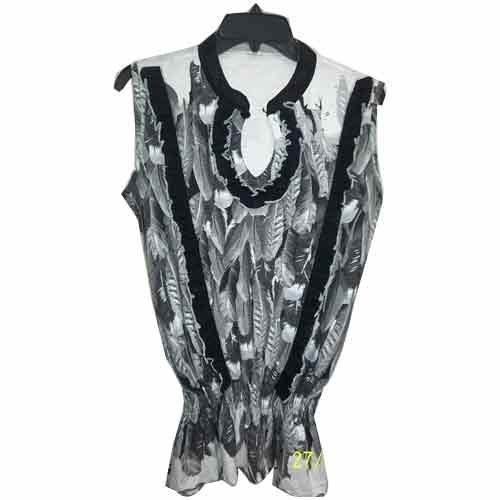 Offered product is designed by our adept professionals by utilizing premium quality fabrics and the latest technology. This product can be worn in parties, meetings and small functions that enhance the personality of the wearer. Also, our valuable clients can avail this product at market leading price within a stipulated time frame. XS to XXL, this desig cam be offered in Modal jersey,.cotton elasthan jersey and vertex elasthan jersey. breathable. price ll be negotiated per order volume and qualitu preferences by the client. Genuine buyers welcome. 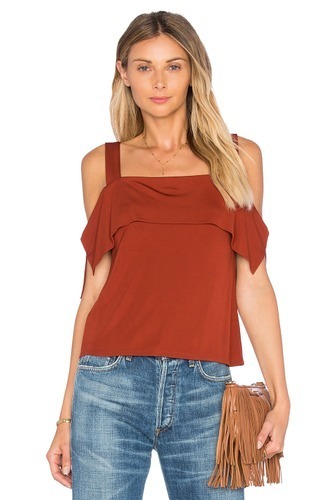 Looking for “Girls Sleevless Top”?